Employee monitoring is growing in popularity among businesses of all sizes – startups, mid-sized companies and large corporations. Tracking your employees’ work can be used to improve productivity, ensure people are not slacking off, determine variable pay, comply with data security requirements and so on. Employee monitoring can include tracking employees’ internet usage, phone calls, physical movements, email and more. Monitoring your employees certainly has several benefits if done right. However, it can also have several negative consequences if done incorrectly – including employee disengagement and even legal liabilities. Employee Monitoring Applications: In which situations is employee monitoring most useful? The Benefits of Employee Monitoring: How can it improve productivity, engagement and compliance? Choosing an Employee Monitoring Tool: The features you should look for in a tool. How to Implement an Employee Monitoring System: Drafting a monitoring policy, rolling it out in phases, getting employee buy-in and more. Remote work is growing at a phenomenal pace among companies of all sizes. The ‘2017 State of Telecommuting in the U.S. Employee Workforce’ report reveals that 3.9 million people (2.9% of the total American workforce), worked from home at least half the time in 2015, a 115% jump from 1.8 million back in 2005. Corporate giants like PwC and Manulife as well as startups like Buffer and ToDoist are all investing substantially in a remote workforce. In fact, at Time Doctor, our entire team of 80+ employees works remotely from 27 countries across the globe. Remote work certainly has productive benefits but working from home is also subject to numerous distractions. Social media, YouTube or household chores can all end up sabotaging productivity. It’s hardly possible for managers to manually keep track of what people working from home are doing. That’s why companies employing remote workers use employee monitoring tools like Time Doctor to keep track of their teams’ activities. Given the rapid growth in remote work, this is the biggest area where companies are adopting employee monitoring tools. Your customers’ loyalty lies in the hands of your customer support teams. That’s why this is another major area where employee monitoring tools are being implemented. Every professionally run contact center records all phone calls with customers. These recordings can be used to maintain quality by identifying mistakes and train support agents to improve their customer-handling skills. It’s also important to maintain recordings for legal purposes in case there’s ever a dispute with a customer. Moreover, contact center tools allow managers to listen in on calls that are in progress. Support agents perform far better when they know that their performance is being closely monitored. Similarly, there are tools for monitoring chats and email conversations of your support team with customers. Financial services companies use employee monitoring in a variety of ways for their sales as well as operations. Most of them need to follow stringent information security and confidentiality regulations such as ISO27001 which require them to monitor their employees to prevent data leaks or data theft. Data Loss Prevention (DLP) Solutions help companies detect possible data breaches by monitoring keystroke logging, screen activity, network traffic monitoring, natural language processing (NLP), etc. Most financial companies will also be required to have cameras in the office for monitoring employees. Several countries make it mandatory for any company selling a financial product such as insurance or mutual funds to record sales conversations. This is to ensure that agents do not use questionable tactics or false information to persuade people to make a purchase. Agencies that offer digital marketing, software development, designing and other services often bill their clients by the hour. Using a tool such as Time Doctor makes it extremely easy to keep track of the quantum of hours that have been dedicated to each project. Billing your clients becomes a breeze and disagreements about billable hours are practically eliminated. Companies employing agile project management for software development need to keep an extremely close eye on how they are investing their time. Using a time tracking tool that is integrated with project management tools like Jira can help track productivity. Project teams can discuss their time usage during scrum meetings and continuously find ways to improve their processes. Companies use a variety of employee monitoring tools to improve the productivity of their sales teams. Field sales apps such as Badger Maps with GPS tracking can be used to figure out if field sales reps are taking the most time saving routes while visiting different meeting locations. In a 2014 Salary.com survey, 4% of employees admitted to wasting 4-5 hours of their workday on non-work related activities. 31% of the respondents said that they waste an hour a day. This does not include genuine breaks. In this infographic we specify the different ways in which employees tend to waste time at work, such as browsing entertainment websites, socializing with co-workers, conducting personal business and more. Wasting time is a common practice in any office, and it’s even more prevalent in a remote setting where there’s no way for the manager to check in and see what a team member is up to. Any time wasted at work is a financial loss for your company. That’s why an increasing number of companies are using an employee monitoring tool like Time Doctor to minimize wastage of time. Firstly, when employees know they are being monitored, they are far less likely to waste their time on non-work related activities. Productivity nearly always goes up when people know that they can’t waste time without their managers knowing about it. This reduces the need for supervision. Secondly, managers will rarely need to ask someone what they are working on at a particular point in time. Time Doctor tells you when people are online and exactly which task and project they are working on – in real time. If they wish, managers can also look at weekly and monthly reports to see what people have been working on, and if they have been visiting unproductive sites. Employee monitoring software allows managers to stop wasting time on supervision and invest that time in more value-added activities such as planning, strategy, coaching people and more. Employee monitoring can help drastically reduce routine human resources tasks such as payroll and attendance tracking of full-time employees as well as freelancers. Employee monitoring apps can keep track of attendance, leaves, and hours worked. The tool can use this data to automatically calculate variable remuneration and salaries. For example, Time Doctor also integrates with payment processing platforms such as Payoneer to disburse salaries and other payments. This is extremely useful for small businesses and startups which do not have the resources to hire dedicated HR or payroll managers. In the past, companies used manual timesheets to keep track of hours spent on projects. However, records maintained through this approach would be rarely accurate. Most employees do not bother to fill up their timesheets because it’s an additional chore which does not add value to their work. Even people who do fill up their timesheets do it from memory, and therefore records are questionable. Lack of accurate timesheets can be a major challenge for management reporting in any services company such as a marketing agency, accounting firm, law firm, software services company and so on. If you don’t know what projects your people are spending their time on, it’s impossible to correctly calculate how profitable each project or account is. Consequently, companies might end up spending an inordinate amount of time on projects in proportion to the amount of revenue those projects are generating. Conversely, if companies believe certain projects to be less profitable than they actually are, they might under-invest in them by dedicating fewer employees to those projects. That might affect the quality of those projects and lead to client churn. Using a time tracking tool such as Time Doctor allows companies to easily monitor your employees’ time usage and generate automatic timesheets. You will never need to ask anyone to fill up a timesheet ever again, and you can expect your data to be perfectly accurate. As a result, you know the profitability of each project and can dedicate resources accordingly. It’s also vital to have accurate timesheets in companies that bill by the hour. Having clear records removes the ambiguity associated with manual timesheets. Clients are far less likely to question the authenticity of automated timesheets. Time Doctor can be used to generate reports that show how many hours have been spent on a project. 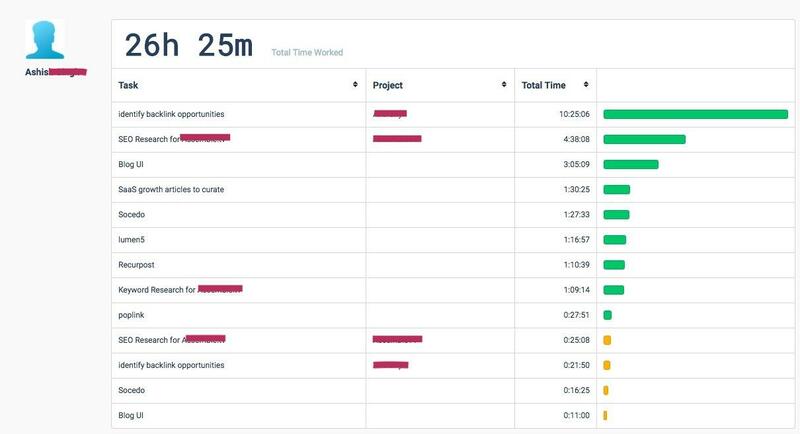 In fact, if you wish, you can even add your clients to the tool so that they directly have access to data on how many hours your people have spent on each project. In nearly every company, some individuals or teams end up dedicating more hours at work than others. This is not because other people are avoiding work. Rather it’s due to lack of equal allocation of work. Additionally, on some days certain employees might have far less on their plate than others. And why is work allocated unequally? Because most of the time, it’s difficult to estimate the amount of time it would require to complete a task. Besides, in many organizations there is no clear data to indicate exactly how many hours are being dedicated by an individual or a team. When you don’t have clear data, work allocation is based on guesstimates – which is rarely accurate. Employee monitoring tools solve this problem by giving your detailed insights into your team’s bandwidth. Whenever you see that some employees are spending less time, while others have too much on their plate, you can reallocate tasks to employees with more bandwidth. This makes your entire company more productive by utilizing your people’s bandwidth – and is hence a great step towards increased profitability. Moreover, distributing work more equally creates a feeling of fairness and transparency that improves overall employee satisfaction. Employee monitoring tools contribute in several additional ways to make people more productive. First, most of us tend to overestimate exactly how many hours we actually work in a day. Even though we might not intend to waste time, we end up doing so. Having a time tracking tool like Time Doctor gives us a reality check and makes us aware of how much time we are really wasting. That cognizance is the first step towards motivating ourselves to utilize our hours more productively. Second, we end up wasting a huge chunk of our day on activities that add little value to our key deliverables – such as email, meetings, reporting and so on. An employee monitoring app helps us see where we are losing time and take active steps to minimize the time spent on wasteful activities that keep us busy, but not productive! Third, employee monitoring software helps us keep track if we are spending too long on certain tasks. If we are spending five hours on creating a presentation where others are taking four, then we need to examine why it’s taking us longer and how can we speed up. Fourth, it helps us to avoid distractions. For example, whenever we visit a social media site or website in the middle of a task that does not seem work related, Time Doctor generates a pop-up that asks us if we are still working on that task. This prompts us to ignore the distraction and get back on track. Several companies use big data analytics to derive deeper insights from employee monitoring data. Here are a couple of applications for HR and support. HR analytics companies use the data to predict who might be considering a job switch, which work activities lead to great productivity, what type of communication channels lead to greater cross-functional collaboration and so on. Google was one of the first companies to take HR decisions based on big data analytics from employee monitoring data. It’s practically impossible for managers to listen to every single support conversation or read every chat with a customer. That’s where big data analytics and sentiment analysis engines can help. Analytics algorithms can go through thousands of recordings of voice conversations or chats with customers and identify quality problems that might otherwise go unnoticed. Managers can then follow up with customers to resolve problems and prevent unhappy customers from churning. They can also coach the concerned employees to handle similar situations better in future. This allows people to do their jobs without their bosses micromanaging them. As long as people meet their deliverables and maintain quality standards, bosses don’t even have to dig through the analytics and reports to check if people are spending the requisite number of hours of wasting time on social media. This helps in building a better relationship between employees and their managers. Employee monitoring tools can guide people to become more productive by revealing their weaknesses. Being more productive helps people to meet their targets and perform better, as well as earn their variable pay. And of course, better performers are more satisfied employees. 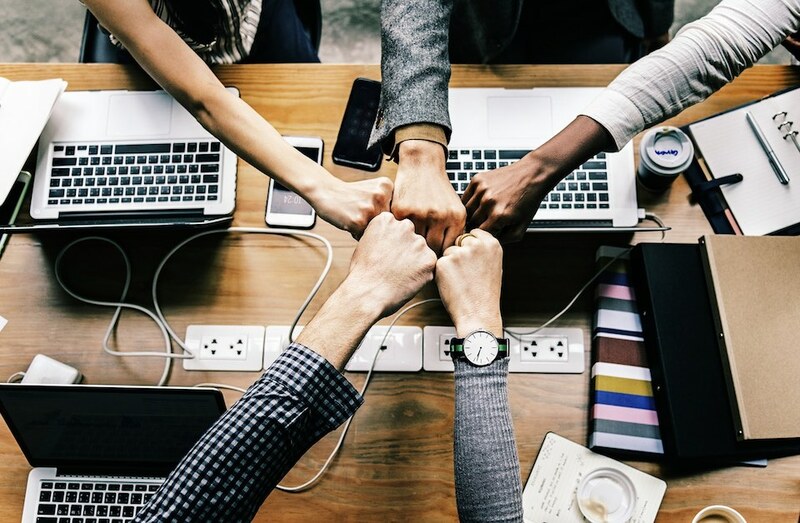 Additionally, equal allocation of work, automating manual activities, increased transparency – all lead to higher levels of employee engagement. Employee monitoring if done in the wrong spirit, with the wrong set of tools and in the wrong process, can actually decrease productivity and engagement and lead to attrition. Many people might feel that employee monitoring tools are an invasion of their privacy. They might not be comfortable with their working hours and web history being logged or screenshots being taken of their screen activity. Privacy concerns would be higher for people who are being subjected to employee monitoring for the first time. If their previous company did not monitor them, they would question why it’s necessary here. Senior managers would also not be comfortable with being monitored. That’s why many companies only monitor their staff selectively. They might monitor their remote employees, but not those people working out of their physical offices. One of the simplest ways of losing your people’s trust is to not inform them that you are monitoring them. Therefore, avoid using employee monitoring tools like ActivTrak, that monitor your employees’ activities stealthily. The moment an employee finds out, he will become extremely upset and will begin looking for a new job. Besides, not informing people can land you in serious legal trouble in certain regions and you have the potential to get sued by a disgruntled employee. Even if you do let them know, using employee monitoring apps that are excessively intrusive by logging keystrokes can severely damage employee engagement. Moreover, it is also illegal in some states. Several states have employee monitoring guidelines and not following them leave you vulnerable to lawsuits. I will discuss legal considerations in a later section but there’s a simple way of staying out of trouble – inform your employees that you are monitoring them and only use tools such as Time Doctor that respect privacy rights, are not excessively intrusive and give a lot of control to the user. Also keep in mind that certain industries and laws require you to monitor your employees – and you can get into trouble for not doing so! Should you Avoid Employee Monitoring? 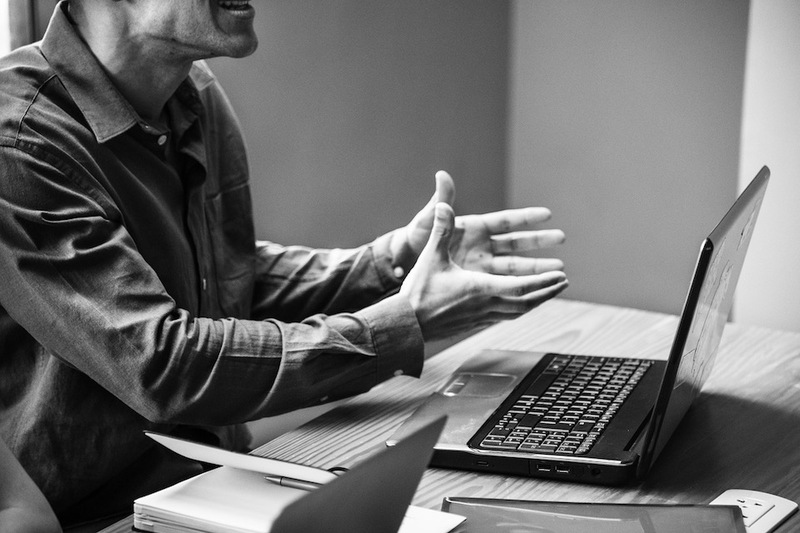 It’s important to take a quick look at a few legal aspects before you begin looking for an employee monitoring software and begin implementing a monitoring policy. The most important legal aspect of employee monitoring is consent. For the most part, if your employees consent to being monitored, you can do so. Brenda R. Sharton and Karen L. Neuman two partners at Goodwin’s Privacy and Cybersecurity practice talk about the role of concept in this article on Harvard Business Review. 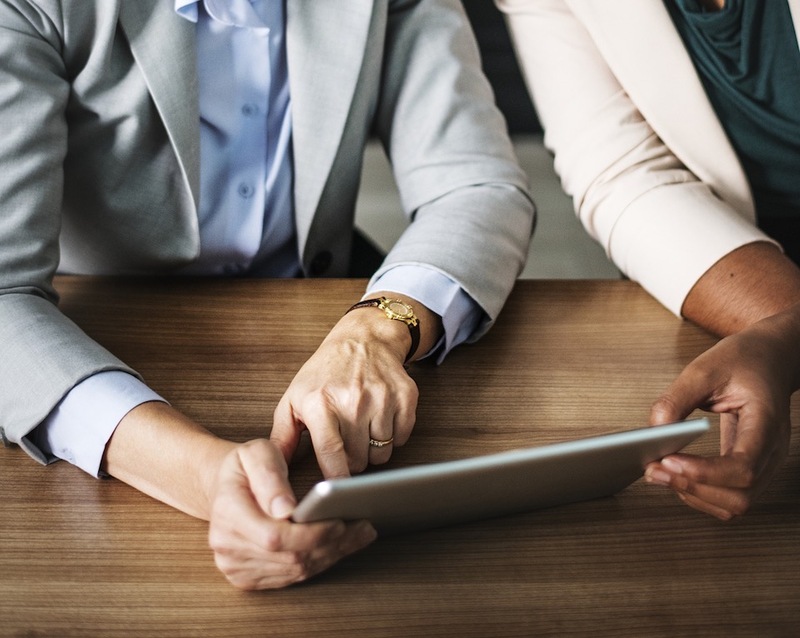 A few states such as Connecticut and Delaware prohibit employers from monitoring their employees without obtaining consent. 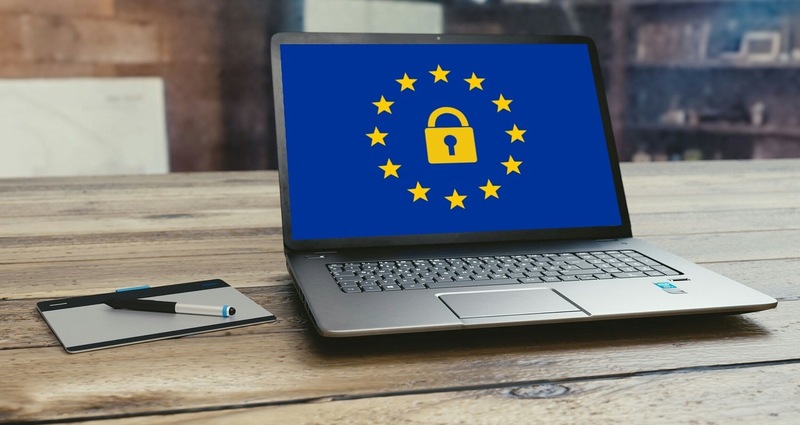 If you have employees working for you from the European Union, you would be subject to the EU’s GDPR rules which have stricter privacy laws than in the US. In addition, there are other federal and state laws that prohibit employers from monitoring specific activities such as email communication. For instance, the federal Electronic Communications Privacy Act (ECPA) states that employers can monitor workplace communications only if they have their employees’ consent. There are several employee monitoring tools that are specifically designed to work in the background and monitor employee activity without their knowledge. For instance, there are tools that do not even appear as an application on the computer and are completely invisible to the user. Using this kind of software is a criminal offense in several regions and can also subject employers to civil lawsuits. Before you choose an employee monitoring tool, you need to determine risks, objectives, scope and modalities. Here are the aspects you need to consider. Before you begin choosing an employee monitoring system, you need to conduct a risk assessment of your business. This will give you a clear direction about what aspects of your business processes you need to monitor and set definite goals about what the monitoring is expected to achieve. Industry regulations, guidelines, codes of ethics, confidentiality requirements or contractual obligations might require you to monitor your employees’ activity. Not doing so, can subject you to liabilities in the form of fines, license cancellations or lawsuits. A common example in banks and financial services companies is data theft or insider trading – both of which are criminal offences. In this case, the risk involves people not meeting deadlines, wasting time at work, remote workers running personal errands during work hours, and so on. Are your employees adhering to quality standards? The most common example of this is monitoring interactions of teams that are customer facing – such as support and sales, or even operations in case of the hospitality and retail industries. You might want to deploy a time tracking tool only to automate attendance and leave tracking. Even if you don’t have any productivity or quality concerns, that can help eliminate the need to manually track these aspects. This might involve using company resources such as software or equipment for personal purposes. For example, an employee using company software for working on his personal freelancing projects. Once you have determined what aspects you need to monitor, you need to decide the approach you will use to monitoring employees. This is the fastest growing category which applies to nearly all industries and teams. You would use tools such as Time Doctor, Toggl or Hubstaff to monitor time spent on projects/ tasks, websites being visited, screen activity and so on. This includes calls over the phone, VoIP or any other cloud-based calling system such as Twilio. This is most commonly used in contact centers. Similarly, you might want to monitor support emails and chat conversations. Most offices have cameras for security purposes and many for compliance. They are also used in warehouses, factories, retail outlets, etc. for monitoring quality. Would you like to deploy the monitoring tool for your entire company or just a few selected teams, levels or locations? For example, it might be unnecessary to use a time tracking tool for senior managers and above. People above a certain level tend to be committed to the job anyway, and they usually tend to spend large amounts of time away from their desks and in meetings. So, it would not be practical to try to track their productivity with a time tracking tool. Similarly, you might want to monitor only your remote employees and not those working out of your physical offices. Or, you might not want to monitor your field salespeople, because they would hardly be in office and more importantly – their compensations are substantially linked to their performance. They make less money if they don’t work! However, in all the above examples, you could always automate their attendance tracking with the same tool. The important thing to remember here is to be clear about the objective of why you are using the tool for a specific group of employees! A good employee monitoring tool will have several features which allow it to be used for multiple applications. Here are the most important features you should look for in a task monitoring tool. Control in the hands of your employees is probably the most important feature in a time tracking tool. You need to choose a tool that gives your employees a feeling of autonomy and control. They should be able to decide when their computer activity is being monitored. Employers should certainly not be tracking them during their personal time. Moreover, they should not have a reason to believe that their employers might be. But if you use a tool that monitors people by running in the background and your employees have no control over it, it would be very hard to convince them you are not tracking them during their personal time. That would damage the relationship with your employees and your best people will leave at the first chance they get. For example, Time Doctor does not track your computer activity all the time, but only when you click on the start button on a particular task. Once you click on the start button, the task timer and all other features start running. Employees might leave their desks with their timers running. This would lead to time being logged inaccurately. You tool should be able to discern whether people are actually working at their desks or not. Time Doctor uses mouse and keyboard activity to determine if people are still working. This is similar to the inactivity function on your computer – if it does not detect activity after a few minutes, your computer would go to sleep. Please note that Time Doctor does not record your keystrokes or identify which keys you are pressing. We recognize the fact that this is a serious breach of privacy and is also illegal in several states in the US and in many countries. That’s because it can be misused to capture personal passwords and even financial data. If you come across a tool which does records keystrokes, it’s best to reject it! At the end of the week, it’s a great idea to go through which projects your people have worked on and how much time they have dedicated to it. You should look for a tool that gives you detailed reports. The time tracking function will let you know how many hours have been logged working on tasks and projects. However, how productively were those hours used? Were your people actually working on those tasks or were they checking out cat videos on YouTube, or reading travel blogs during work hours with the timer running? That’s why it’s important for your employee monitoring tool to keep track of what websites your employees have been visiting and the applications they have been running, and for how long. If you use Time Doctor, you will be able to view a Web and App Usage Report, which will have details of all the sites and apps each employee has been visited over a selected period of time and for how long. Time Doctor also shows you a ‘Poor Time Use’ report, that will show you a list of potentially unproductive websites that each employee has been visiting. Even the most diligent and productive employees are tempted by distractions. Someone might think of logging into Facebook for a minute. But social media is designed to be addictive, and people might end up staying for half an hour! Time Doctor has a feature that generates a pop-up whenever someone visits a potentially distracting website or application in the middle of a task while the task timer is running. The pop-up asks if you are still working on that task and you can choose Yes or No. This nudge is sufficient for most people to either not visit that website at all or spend the minimal amount of time on it during work hours. Your tool should ideally integrate with other tools to maximize its utility. For example, Time Doctor integrates with different types of software. These integrations often help automatically track time being spent on different tools. Project management: Allows you to see how much time is being spent on projects and tasks in Asana, ToDoist, Jira, Trello, Basecamp, etc. 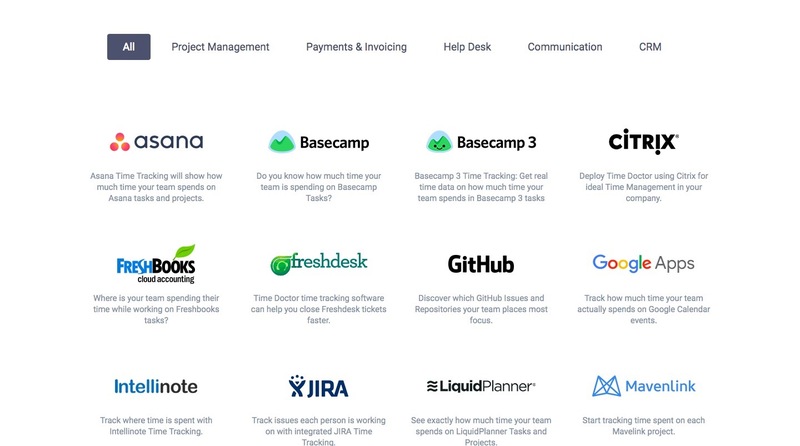 Customer Support Tools: Track time spent on support tickets through Zendesk, Freshdesk, etc. Communication Tools: How long are people spending on Slack, or actual time spent on Google Calendar events. Accounting: How much time are your people spending on Freshbooks or Quickbooks projects? Of course, Time Doctor also integrates with Zapier, which means that you can connect it to practically every software you are using. It’s important to follow a structured process for implementing an employee monitoring system. That helps in gaining the cooperation of your employees and getting them to view it as a positive development. What would the company like to achieve through monitoring? What risks is the company trying to prevent? What will you be monitoring – computer activity, calls, emails? What sort of information is being collected, how will your company use it, who has access to it and how long will that information be stored? Who will you be monitoring? Remote employees only or a bigger group of people? What tools will you be using to monitor people? Mention if f you are monitoring your people because of legal or contractual requirements – and what those requirements are. Provide a few examples of how the monitoring will take place. That will help your employees have a clearer idea. What are employees supposed to do in order to implement and support the policy? Who can employees refer to for any questions they have about the policy? How can they offer any feedback they might have? Try to make your policy as clear as possible and free of unnecessary legal jargon. If people can’t understand your policy without racking their brains, they will assume that you are trying to intentionally confuse them. That is bound to put them on their guard. Rather than try to implement monitoring for your entire workforce at one go, start by rolling it out in phases. This is perfectly normal for large or mid-sized companies, but even if you have over 50 employees, rolling it out in phases would help you to understand the tool better. For example, you might decide to implement monitoring for your tech team first. Based on the observations and feedback, you can adapt your Employee Monitoring Policy document and roll it out for the other teams. In fact, if you know that a certain team would be more open to implement monitoring, it’s a great idea to let them take the lead. Once the implementation has been running successfully for a few weeks, they will also act as champions and say positive things about it to your other teams. The initial pilot will give your managers and HR team valuable data about work patterns, as well as make them familiar with the tool. That will make it easier for them to answer questions that employees ask in the subsequent phases. It’s vital to have your employees’ consent before you begin to monitor them. That’s why it should be part of their employment contract. The contract should stipulate that all monitoring activity will be done according to the guidelines and methods mentioned in the Employee Monitoring Policy. For your existing employees, you can create an addendum to their existing contract which everyone would sign. For all newly joining employees, you can simply add a clause to their employment contract. Your people might consent to being monitored, but that doesn’t mean that they will be fully comfortable with it. That’s why you should clearly explain how they will gain from the initiative. Don’t just surprise your people by emailing them the policy! Instead, hold a town hall where you explain everything that your employees would want to know. Take your people through a presentation of the monitoring policy. If you are implementing a phased roll out, you can mention the experiences of the pilot team and the benefits that were gained as a result of the monitoring. Here are a few key benefits to employees that you should highlight. Bosses will check up on their employees far less often and will only be looking at their output. The tool will show them exactly where their time is being wasted during the day. That will help them to modify their work habits and become more productive. Highlight the fact that you are not tracking their personal time. In fact, if they use Time Doctor, they can even stop the timer in the middle of the day to take care of any important personal business. As long as they make up those extra few minutes later on during the day, why will anyone complain? The time tracking reports will clearly indicate what tasks people have been working on and for how long. No one will be unjustly told again that they are not putting in the requisite hours, wasting their time, or not doing their best. The most damaging people on the team are the ones who shirk their work. People who don’t contribute enough to the team are bad for the motivation of the entire team – and honestly, no one likes them. These people are few, but they damage the productivity of the entire team. An employee monitoring system will be able to identify those people easily. They can be coached, or if necessary – replaced. Everyone who is serious about their work will support letting the shirkers go. Employee monitoring software will also indicate which people are working longer, and identify the ones who are evidently hanging around in office longer but are spending most of their time in the cafeteria! Recognition will be given more fairly. No one will have to fill up a timesheet ever again! People can stop wasting their time on such administrative tasks. It’s best to train your people to use the software. Tools like Time Doctor are extremely simple to use and don’t really require training. But taking your people through the software will make them open up and become more comfortable. If you choose Time Doctor, we will be happy to deliver a training for your employees and answer any questions they have. If you have people across multiple offices, or remote employees, you can host a webinar and take your colleagues though the tool. It might be a good idea to record the webinar so that new employees can check it out in future. A simple way to drive adoption of the employee monitoring tool is to involve your people in the decision-making process. Simply by listening to their viewpoints, you make them far more comfortable with being monitored. They begin to trust you a lot more. The people using the tool will be in a position to give you genuine insights about how to make the system more effective. A few weeks after people have been using the system. You can send them an anonymous feedback form to share their honest opinions. During weekly conversations with managers about what team members have accomplished over the week. Employee monitoring has the potential to substantially improve your company’s productivity and quality standards in several ways – and therefore it has a direct impact on your profitability. And if you follow the recommendations I have shared in this article, it can also increase autonomy and employee engagement. 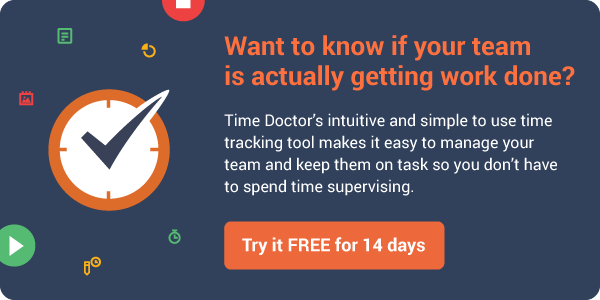 To get started on employee monitoring, I suggest you sign up for a free trial of Time Doctor. How should you handle an employee where the GPS data does not align with his/her daily route? A good practice is to talk to the employee first and figure out why this is the case as it may not necessarily be a sign of unproductivity. Then you can make adjustments from there.